If my initial swatches of Chanel Taupe Grisé didn't convince you to run out and get it, these will. I've compared Taupe Grisé to a few of my MAC taupes, and there really is no comparison. I love my MAC, I always will, but Taupe Grisé is just something special. 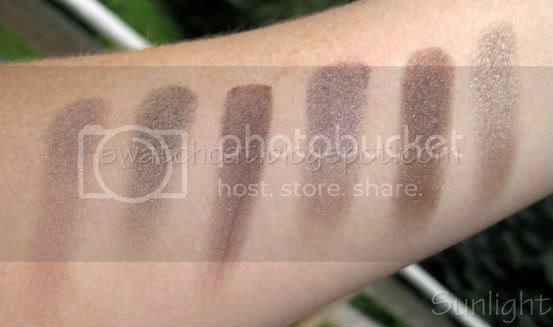 L to R: Clue, Smoke & Diamonds, Taupe Grisé, Moth Brown, Night Manoeuvers, Hard to Please (Tempt Me Quad). See! It really is so pretty, soft and pigmented. 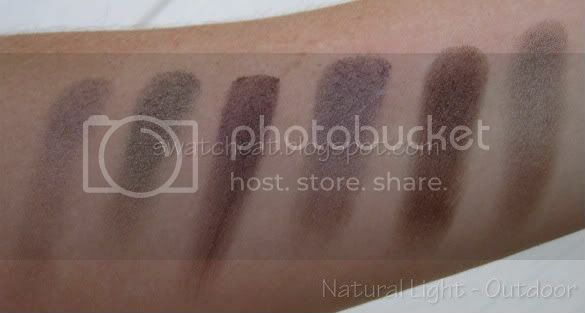 That swatch is from just one light swipe off the shadow. I'm seriously considering getting another. You'd better get yours or I will!